Many of us are involved in preserving the past through our family photographs and collections, and would like to make those resources available to our communities by publishing photographic history books. But, where do we start? What is involved in publishing a photographic history book? On May 30, Shades will show you the ropes with Guest Author, Chery Kinnick. 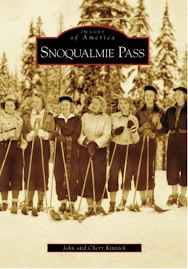 Chery, along with husband John, is the author of Snoqualmie Pass, a photographic story of one of Washington state's historic recreation areas. The book was published through Arcadia Press' Images of America Series. The Images of America series celebrates the history of neighborhoods, towns, and cities, using archival photographs to present unique stories from the past that shape the character of the community today. 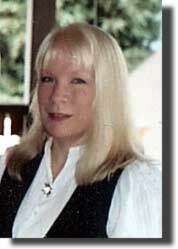 Chery Kinnick is also the author of the blog Nordic Blue - Notes by a Pacific Northwest Writer & Genealogist/Family Historian. She fills her blog with family stories from Minnesota (Chippewa, Clearwater, Polk, Renville, and St. Louis counties), the San Francisco Bay Area in California, the Willamette Valley in Oregon, and Norway. Readers of Chery's blog are treated to some of the most eloquent writing on the internet; vivid stories that transport the reader to another place and time. Chery has found the perfect life-long pursuit and purpose. Her story-telling is unsurpassed. Chery was born in the San Francisco Bay Area, but now lives in the Cascade Mountains with her husband, John, and their aussie, Chips. She is a graduate of the University of Washington Extension Certificate Program in Genealogy and Family History, and a participant in the Seattle Museum of History and Industry's Nearby History Writers Workshop. Chery says she is an addicted researcher and writer with an interest in Pacific Northwest history. She is also an online columnist, someone who is knee-deep in writing her family's history, and a great friend! I'll be there on Friday!